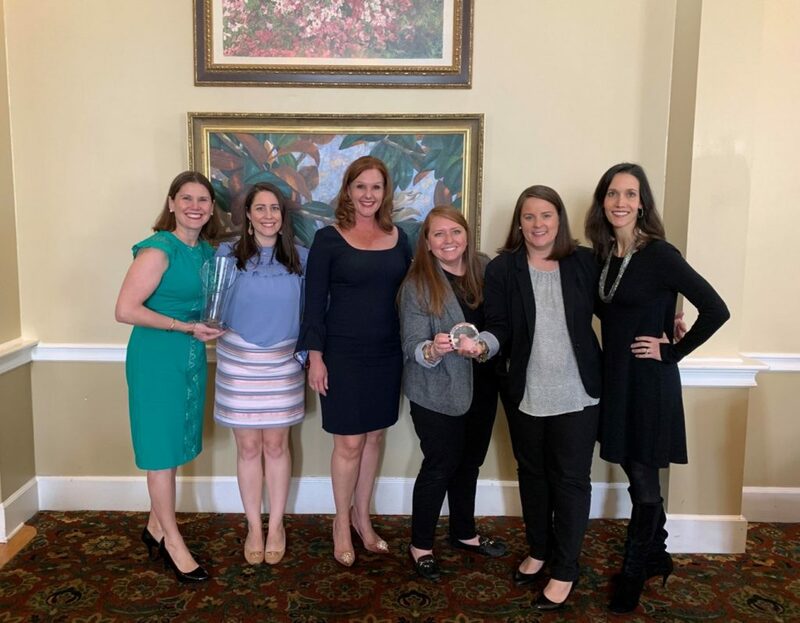 President Isabel Dewey, Hannah Parker, Lee Lowry, Maggie McCleland, Melanie Brown, and Mary Ellen Collins at the Junior Leagues of Florida State Public Affairs Committee (SPAC) Leading Ladies Luncheon. On January 10th, The Junior League of Tampa joined 21 Junior Leagues from across Florida at the inaugural Junior Leagues of Florida State Public Affairs Committee (SPAC) Leading Ladies Luncheon. The lunch honored female leaders holding elected office as well as women who impacted their local communities. During the luncheon, SPAC recognized outstanding Leagues and members for their dedication to the Junior League’s mission. Tampa was honored with two out of the three awards. Public Affairs Committee Co-Chairs Maggie McCleland and Melanie accept the ‘Outstanding Public Policy & Advocacy Award’, presented by Senator Janet Cruz. 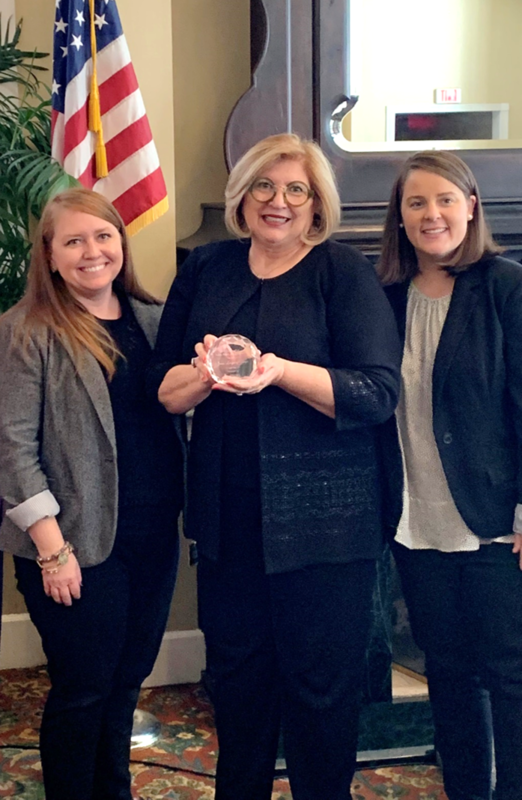 The Tampa Public Affairs Committee received the ‘Outstanding Public Policy & Advocacy Award’ for their efforts to engage voters and partner with external organizations through their Activate813 initiative. Senator Janet Cruz presented the award and shared how she was personally impacted by a Junior League program as a middle school student. Her story was a reminder of the significant role the League plays in empowering the next generation of women. Isabel Dewey, President of The Junior League of Tampa, also received the Berta Blecke Award. The award recognizes a SPAC member who demonstrates outstanding efforts in legislative advocacy. Isabel has served in multiple Public Affairs positions, including SPAC Chair, and now brings her passion for advocacy to her presidential year. The League boasts a long-standing history of being strong advocates for women and children. Past legislative successes include strengthening child safety seat laws, the elimination of the “pink tax,” and preventing child brides. They have also been loud supporters of addressing food insecurity, human trafficking, and the opioid crisis statewide. This year the platform will continue to focus on alleviating hunger, improving the lives of at-risk youth and making education more accessible to all.